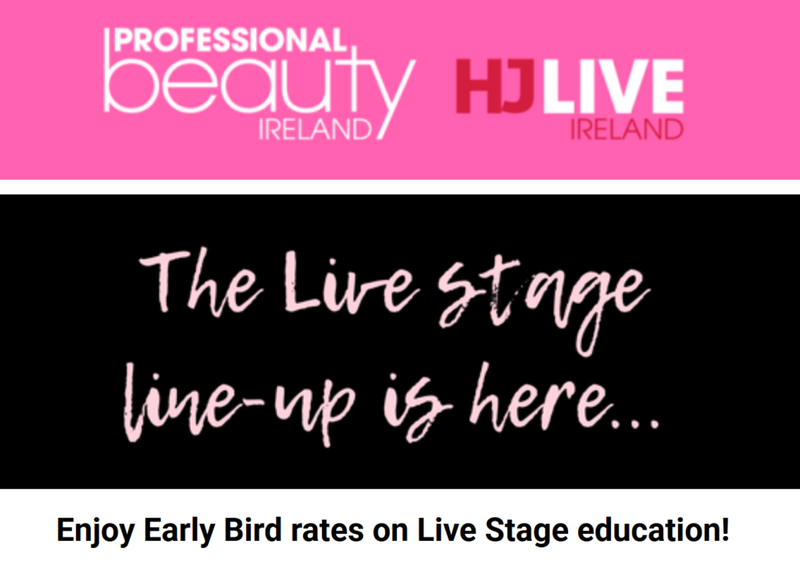 With no less than five live stages, the education programme at Professional Beauty and HJ Live Ireland covers everything from business advice to demonstrations of the latest treatments and techniques. Book your live stage sessions at an Early Bird rate of only €1.50 per session (regular price €3 per session, €1 for students)! Simply click the link below to register!